GIVE YOUR PRINTER A BREAK! 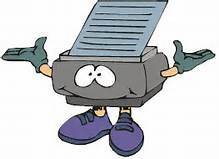 "Save Your Ink or Toner"
If your printer is on the blink or you would just like to give it a rest we can help. Just complete and submit the form below and we will mail you the requested information for all current tours. WE HOPE TO SEE YOU ON-BOARD!